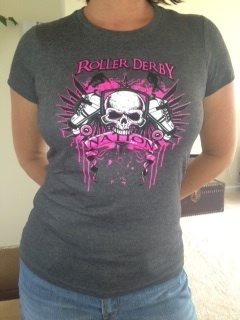 Rollin' News - World Wide Roller Derby News | Who are you on the track? What do you think your teammates answered? Yes, and as a team you have to work together. To work with all of your teammates, you need a cohesive, trusting team, and there are many components to making, building, and keeping a team positive and strong. There are many different ways to arrange a team so take away some of these ideas, but this article is for you as a skater, ref, or coach to think about how you can make yourself a better teammate and build your team as one united group. Anyone who has done derby should know this, but derby is complicated and sometimes we may forget how crucial it is to play as a team. So how do you play as a team? You have to listen to each other and actually hear what they say. You have to remember that jammers do not win games. Blockers do not win games. For a jammer to get lead and to score points, she needs her blockers to hold the other jammer. For blockers to hold the other jammer as a wall, they need their jammer to get out and get lead as soon as possible. Only a jammer can do what she needs to when her blockers are doing their job and vice versa. You are only as strong of a team as your teammate who may fall under the term “weakest” but that is not the way she should be referred to. No one wants to be “the weakest.” So take that out of your vocabulary because whomever she is, she is your teammate. She may be your newest teammate, your newly returned from injury teammate, your post pregnancy teammate, your teammate who retired and decided not skating was just not okay teammate, your teammate that might not exactly fit to your personality, your ultra busy skater who has trouble making it to regular practices and the list could go on but you get the idea. Who she is, is your teammate. So who you are on the track? I hope you now answer (if you didn't already); a teammate.